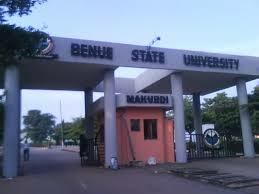 Benue State University, Makurdi, BSUM Fresh Postgraduate Students Payment of Acceptance Fee and Registration Guidelines for the 2017/2018 Academic Session. i. Proceed to pay a non-refundable Admission Verification fee of four hundred (N400.00) Naira using the e-payment procedure. ii. Proceed to pay an acceptance fee of ten thousand (N10,000.00) Naira using the e-payment procedure. c. For payment using Quick teller from the Internet: Visit the quick teller website www.quickteller.com/bsum to complete your transaction. 6. Registration of fresh candidates commences from Thursday, 10 th May 2018 to 23rd May, 2018. Eligible candidates are to note and comply.